It has occurred to me that moving is very much like childbirth. Both are painful. And messy. And exhausting. When you're in the middle of either activity, you think it's the worst thing you've ever been through. But then when you look back at it later, it seems as though it really wasn't all that bad after all. That's where I am with moving. 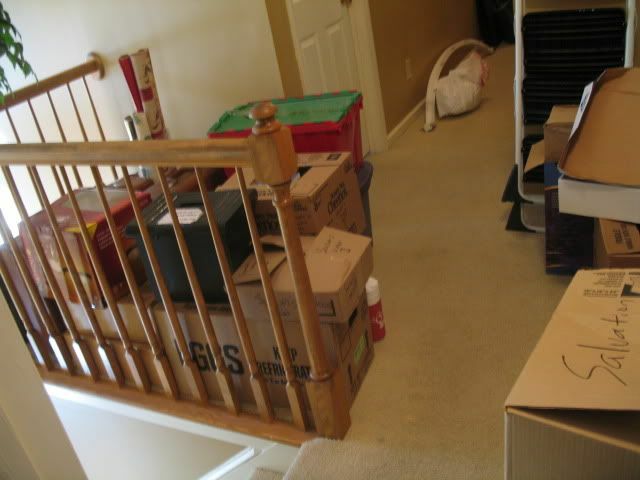 I originally thought, "Well, how bad can it be to just throw a few things into a few boxes and move to a new house. It's not that big of a deal." It is bad. It is worse than bad. It is badder than worst. It is hard and tiring and frustrating and awful. 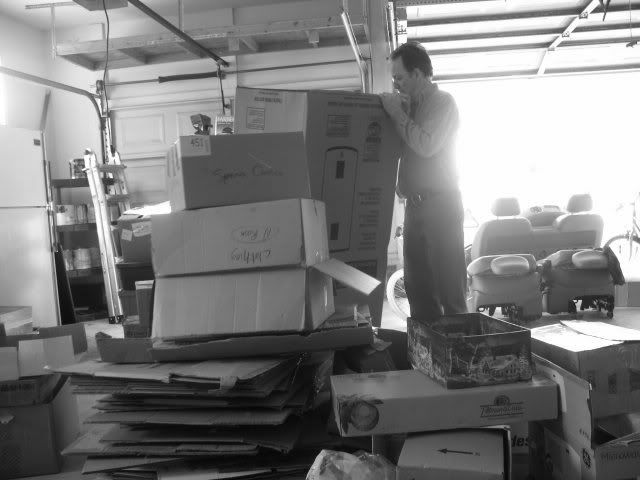 I have packed boxes and carried boxes and made decisions and organized and re-organized and sorted and thought and pondered and run amok in a house that has collapsed into congealed chaos. Ug. Yuck. Ewwww. Phooey. Patooey. Ish. Ick. Icky. Need I say more? No? Good, because I've run out of icky synonyms. I know that we will eventually get moved and settled in and the boxes will get unpacked and the chaos will unravel itself to reveal order in our lives once again. But for now, I am sort of overwhelmed. Not a lot. Just a little. But it's okay. It doesn't last forever. And that's the best part about childbirth. And moving. They. Do. Not. Last. Forever. And now I have for you a few pictures to gaze at which should go a long way toward making you thankful you are not the one who is moving right now. 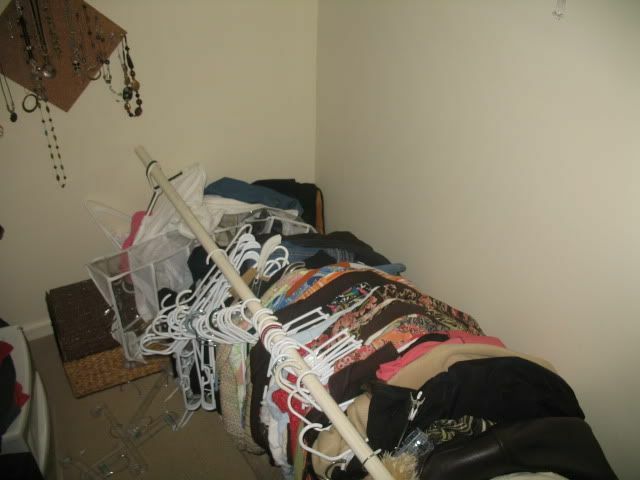 And to make things even happier, when I got up yesterday morning, I discovered that my entire closet rod had collapsed. It was just what I needed. A bigger mess. O happy day. Becky M. asked in the comments section what we would do if someone wanted to see the house now. Funny you should ask, Becky, because our realtor just called to say that someone wants to see the house tomorrow. I am happy. And sad. Happy to have some interest. And sad because now I can't leave the house in the kind of mess I was thinking of leaving it in when we head out to Manteo later today. Now I have to clean toilets, counter tops, and mirrors. I have to make sure that my incredibly messy house is somewhat unincredibly clean. Is it time for my nap yet? 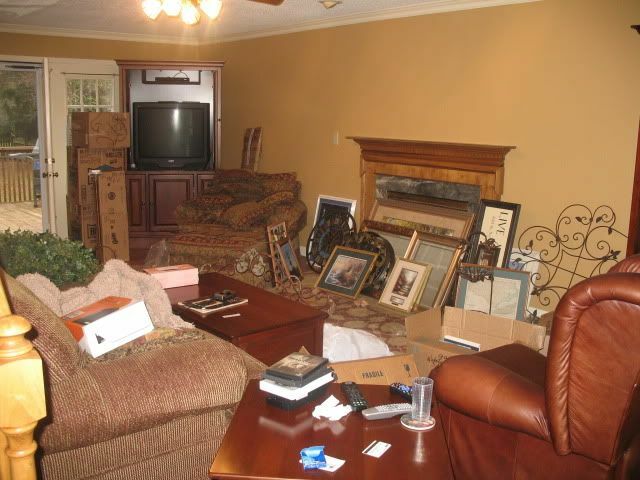 You'll have to post some final pics of the completely empty house when you're done. 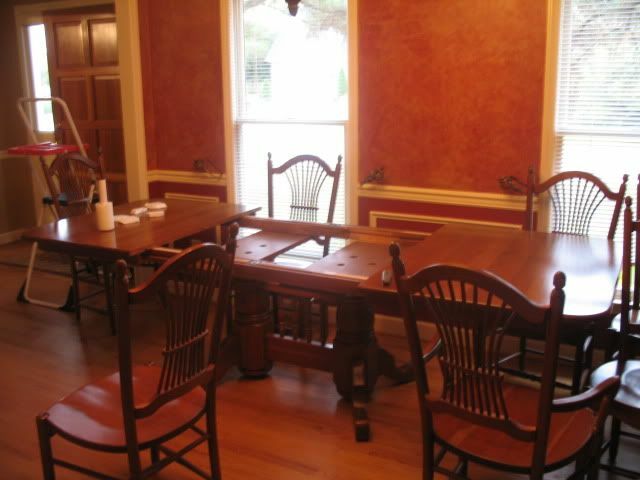 It'll be strange to see it completely devoid of any furnishings or personal items! Plus it'll show how much hard work you did! Oh, I feel your pain! It's just the reminder I needed, that I am never moving again! So, when will you be ready for overnight houseguests? Thinking of all of you as you head off to Manteo for good. Sure wish I'd found you guys sooner! I would have loved to have meet you for coffee or something. But Smithfield isn't that far away and maybe you'll be back to visit one of these days. I know many people here will miss all of you! I can feel your pain but I'm also excited for you!